With more and more businesses seeing the power of social media to market themselves, social media management tools such as Hootsuite and Sprout Social are being seen as vital. A Social Media Management Tool (SMMT) or Social Media Management System (SMMS) allows you to manage multiple social networks from one dashboard and potentially share and delegate tasks amongst a team. Of course, the word “management” is perhaps a little vague and can mean different things depending on the tool you use. All social media management tools allow you to publish to at least one social network and hopefully allow you to do many other things such as monitor schedule, analyse, produce reports and more. Hootsuite is no doubt the most popular of Social Media Management Tools. They were one of the first, have done a great job at marketing their tool and have a reasonably full-featured free version. However, it’s far from the only social media management tool out there. There are literally dozens and dozens of them (and I’ll introduce you to quite a few at the end of this article). One of the most famous (other than Hootsuite) is Sprout Social. It’s a premium tool- aimed at small to large businesses as well as the enterprise sector and it’s got a loyal following of super fans. With such a provocative blog title, I’m actually quite afraid of these superfans- so if you are one, please be kind to me- I aim to be as balanced as possible in my approach! Sprout Social had its beginnings in 2009 when the current CEO Justyn Howard was frustrated by the lack of social tools that allowed him to connect with customers- particularly tools that were focussed towards businesses and brands. The following year Justyn and current CTO Aaron Rankin founded Sprout Social together with Gilbert Lara (Creative Director) and Peter Soung (director of web/mobile). They’re a privately held company and had over $11 million in investment since their founding. They are based in Chicago in the US. You can read more about how Sprout Social came to be in this interview with Sprout Social, Justyn Howard. A few years back I wrote an article called “7 Reasons NOT to use Hootsuite” which has become an incredibly popular article. That article came from my frustrations from using Hootsuite and to point out some of the downsides and potential deal killers in using Hootsuite as your social media management tool. I wrote a follow-up article on the reasons why you might want to use Hootsuite to try and be as balanced as possible. This article is slightly different because I’ve never been a long time Sprout Social user and when I have used it, I haven’t found myself becoming frustrated in the same way as I did with Hootsuite. I really like Sprout Social and I do think it will be the right fit for many people. Having said that, there are frustrations, and I wanted to share these with you. There is a lot of love from Sprout Social users and with good reason. Sprout Social is an impressively robust social media management tool and a joy to use. It’s actually very hard to find reviews on the web that mention anything bad about Sprout Social except for the odd niggle. However, the quite a bit of the love comes from long standing customers who are paying a substantially lower rate ($39/user/mth, $29/user/mth or even $9/user/mth). The entry price (now the Premium plan) is $99/user/month, and that is going to be quite a leap for individuals and small businesses. However, I am getting ahead of myself, I’ll cover the pricing further down in this article. Sprout Social will be the right tool for some businesses, and perhaps even you. My aim is to give you enough information to help you make the right choice. If, after looking through the potential downsides in this article you’re still impressed with Sprout Social - then it’s obviously the right tool for you. I also know that Sprout Social are continuously evolving and adding new features. Fairly recently they added the ability to publish to LinkedIn company pages and I know they are looking at adding new features over the coming year. It’s my hope that Sprout Social will look at my article and as a result make their tool even better than it is today. Update (July 2018) - Sprout Social no longer offer the $59/user/month Deluxe plan anymore. It's called the Standard plan for existing customers. Since December 2017, the cheapest plan is the Premium $99/user/month plan. Update (April 2017) - Sprout Social have updated their team and enterprise pricing. They now charge per user and have reduced the minimum number of users down to one. It takes a huge amount of investment to build a tool as comprehensive as Sprout Social. They will have large monthly server costs, salaries to pay for a large team, development costs and a big marketing budget. As consumers, we have become used to low costs on the internet and find it easy to forget the true cost of building something great. It’s a difficult job for tool vendors to work out pricing, and I have no doubt Sprout Social have spent a huge amount of time and research into their pricing structure. But for many, Sprout Social will just be too expensive. Prices now start at $99 per user per month for the Premium Plan. Sprout have axed their $59/user/month Deluxe plan for new users. This plan is for small to medium-sized businesses and allows you to manage up to 10 social profiles. It's important to say that Sprout Social isn’t really aiming at the casual blogger or the individual. They grew out of wanting to cater for businesses and brands- and hence the higher price tag. Over the years, the prices have increased as you would expect. And Sprout Social have been supportive of their long standing customers by keeping the prices the same. However, the prices have significantly increased over the years. Back in 2012, it cost $9/mth for a Pro account and $49/mth for a business account. Back in 2014 the entry cost was $39/user/month. And now it is $99/user/month- a significant increase. It’s particularly expensive for teams. Social media management tools are particularly important for teams- not just for delegating tasks and managing updates. It’s also important from a security standpoint. If you are managing social media accounts amongst a team, you should NOT be sharing social networking passwords. What would happen if one of your team moves jobs or is sacked or if they’re a victim of a phishing attack? There are too many horror stories of businesses’ and brands’ social accounts being hijacked by rogue employees or hackers. Sprout Social, Hootsuite and other social media management tools allow you to manage your social networks without sharing the passwords. Each team member can have their own sub-account with its own username and password. An administrator can choose which accounts they have access to and remove them if they no longer work at the company. In my view, it is perfectly acceptable for there to be a cost involved on a per user basis. However, when the cost per user is already quite high, this is going to make it difficult for a small business to afford. It will cost a business $2,832 per year for a small team of 4 to use Sprout Social’s entry plan. If they were to be on the Premium plan, this would cost $4,752 per year. 11 The maximum number of users in Hoostuite Pro is 10, to add more users you will need a Hootsuite Enterprise account. At least Sprout Social’s pricing system is transparent and simple to understand. You can see from the above table how complicated Hootsuite's are! With Sprout Social, there are no hidden prices as far as I can tell. You know how many social profiles are included in your plan and you know how much extra it will cost for an extra team member. You get full reports included in all the plans (although you get more snazzy ones in the Premium and above plans). That’s very different with Hootsuite which have a strange pricing tier for team members and require you to upgrade to the Enterprise plan (for which they don’t publish prices for, but is likely to be well over the $20,000 per year mark). 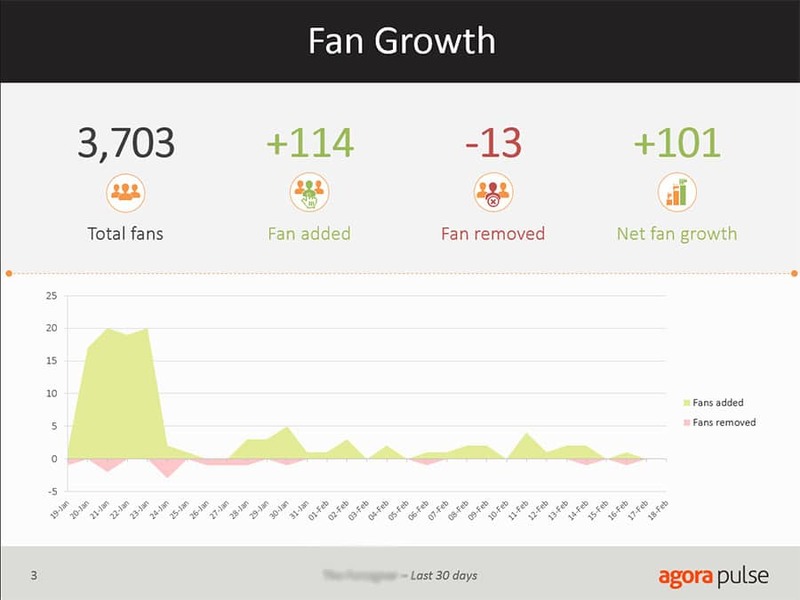 Update June 2015 - Sprout Social have, as expected, added Instagram integration! I've updated the article accordingly. If you are wanting to monitor your Pinterest or YouTube account, you will be disappointed with Sprout Social’s lack of integration. Sprout Social only supports Twitter, Facebook (profiles & pages), Google+ pages, Instagram & LinkedIn (profiles & pages). Although Hootsuite doesn’t offer Pinterest, or YouTube out of the box, you can add them via their comprehensive app directory. This allows you to add visual networks such as Instagram, YouTube, Pinterest and many others. There are a few other social media management tools that have Instagram integration, but there are certainly fewer of them. Examples that integrate with Instagram and YouTube include Jollor and Sendible, and AgoraPulse integrates with Instagram. It is important to note that no social media management tool can post directly to Instagram via the official Instagram API. Instagram only allow 3rd party tools to allow liking and commenting of posts and be able to search. There are tools that effectively allow posting to Instagram, but they quite often get around the system by using multiple smartphones connected to servers. There have been reports of Instagram suspending accounts that have used such tools. The only way to post to an Instagram account is via the official Instagram account. If you are interested in scheduling your Instagram posts, then consider a mobile app such as Latergramme which won’t actually post your photos, but will handle them and alert you when the next one should be posted. However, although you may not be able to post to Instagram using a social media management tool, being able to monitor your stream, likes, comments, as well as your followers, friends and competitors posts, is very powerful. Being able to monitor and analyse your Pinterest boards and YouTube channel would be incredibly powerful from your social media dashboard. Sprout Social does integrate with both Facebook and LinkedIn, but so far they are yet to support posting or monitoring groups. I do know they are looking at the possibility of adding these in the future, so there is hope. They finally added support for LinkedIn company pages in December 2014, it is good to see they are looking to move the tool forwards. Although I am not a fan of LinkedIn groups from a design and user interface perspective, they are a powerful networking and relationship area. Being able to post to and monitor LinkedIn groups would be really helpful- particularly for businesses in the B2B sector (business to business). And then there are Facebook groups- for many years ignored by businesses and brands, but are having a recent surge in popularity. Facebook groups don’t suffer from the design or user interface problems of LinkedIn groups. They are a joy to use (and easy to use) and are great in building a community. Sprout Social need to support posting to and monitoring Facebook and LinkedIn groups. My favourite social media scheduling tool, Buffer, has supported them for a long while and Hootsuite has too. Oktopost does a fantastic job of posting and scheduling to LinkedIn groups and would be my social media management tool of choice if LinkedIn groups are a must for your business. Again, not very helpful and quite general, but not an unexpected answer. I think the truth is that Sprout Social are looking at all the options, but how high groups are on their agenda, I have no idea. We’ll have to wait and see. Where would we be without our social streams? Whether it be your Twitter home stream, a Twitter list, a keyword search, your LinkedIn connection updates, Facebook page updates or more, social streams allow us to monitor what is happening across our social media empire and our competitors’. Sprout Social offer two types of social streams- “feeds” and “discovery”. The feeds are a list of posts from the connections you follow or the posts from accounts on your Twitter lists. Discovery allows you to set up a stream of updates for a search term. Sprout Social made the decision to display only one stream at a time. On the streams section, you have to toggle between different social accounts (Twitter, Facebook etc), and you have to toggle between different Twitter lists. If you want to view a search stream for a particular hashtag or key phrase, you need to click the discovery tab and view it there. Users familiar with Hootsuite and TweetDeck will be used to the way you can add many columns of streams so that you can monitor multiple streams and profiles on one page. On TweetDeck, I can easily see mentions and replies to my 3 main Twitter accounts, as well as my main Twitter list and a Twitter search term- all one view. Hootsuite allows you to do that for all your social networks (such as Twitter, Facebook, LinkedIn and Google+). Sprout Social fans will already be shouting “but what about Smart Inbox”? Yes, of course. I love Smart Inbox too and this gives you more functionality than I was mentioning above. Smart Inbox displays all the updates that Sprout Social thinks are important in one stream or a unified stream. I’ll go into more detail in my next point, but again, Smart Inbox only displays one stream at a time on the page. @iagdotme We're big fans of a single column. It may not be for everyone, but we believe it's a lot cleaner and streamlines workflow! @iagdotme I feel like it would be a big improvement for SS. Just having all the feeds for 1 account on 1 page would be HUGE. @iagdotme @Justyn FWIW, I'd put my SS subscription to use if columns were easier to access. The one complaint I have for SS. I prefer one stream on one page — it helps with SMM ADHD! Plus, with the Smart Inbox you can see a little green light when another stream (brand/client) has an incoming message, AND you can even check that message from a preview screen before clicking over to respond. Example: Sometimes it's just a follower notification of a "you're welcome" that doesn't need an immediate response — great for time management. Smart Inbox does a really good job at displaying the most relevant updates and you can easily reply and follow as well as create a task (for example delegate to another team member) or complete. There are also some helpful filters to allow you to zoom in to the posts you really want to see. For example, you filter the smart inbox to show only mentions, direct messages, retweets or new followers. You can also filter by brand keywords and you can use Twitter’s advanced search operators. This allows you to search for tweets mentioning a keyword, filter by location, filter out tweets with images and more. That's all great, but it doesn’t give you quite the same control as tools such as TweetDeck or Hootsuite and doesn't allow you to filter your Twitter list streams. For example, if I wanted to display tweets from a Twitter list and then filter out tweets with no images or links, I am stuck. Although using Twitter's advanced search operators are great, they're not going to be apparent to less technical users and it would be great if Sprout Social added a few more filters and options to help dig a little deeper into the streams. @iagdotme In your brand keyword, for tweets to exclude images, you can use the operator: "keyword -Filter:Images". We hope this helps! I admit this is unlikely to be a big issue for many, however, I wanted to highlight it since it affects me. One of Sprout Social’s helpful features is the way you can group social channels. These groups could be for different departments within a bigger company or organisation or even different companies all together (for example if you are an agency managing multiple brands). This is particularly useful if you have different teams of people managing different groups of social channels. You can assign a different bit.ly account to shorten your links for each group- something that is really helpful. With Hootsuite you can’t use bitly at all- you’re forced into using the Hootsuite url shortener ow.ly. If you use another social tool in addition to Hootsuite, your social analytics will be fragmented since Hootsuite can only track clicks through their ow.ly url. If you want to use a custom short domain (for example I use to.iag.me and select.social) you will have to pay over $588 per year for this feature with Hootsuite- and you can only use it within Hootsuite. The url shortener bit.ly allows you to set up a free custom short domain and works with many social tools such as Buffer, Friends+Me and SproutSocial. I have two short urls with bit.ly. I use to.iag.me to shorten links on my Seriously Social profiles and I use select.social for my Select Performers accounts. In Sprout Social, I could put my Seriously Social profiles in one group and my Select Performers in another, but this completely separates them- effectively treating them as separate companies. It also means I can't cross post two accounts in separate groups. With Buffer, I can assign a different bit.ly account for each social profile. This means I can cross post and share content across my profiles easily and the correct url shortener will be used. Sprout Social don’t seem to have any plans to change this in their response to me, although perhaps they were trying to tantalise me with their use of the word “currently”! As I said, this won't be an issue for many, but I hope Sprout Social allow us to assign a different bit.ly account per profile in the future. @iagdotme Account Owners can set the timeframes for weekdays and weekends that they'd like ViralPost to optimize from. We hope this helps! @iagdotme Yes, that's correct. The maximum amount of messages that can be published utilizing ViralPost is 10 per day. This is not going to affect everyone, but I prefer to set a different schedule each day. I may want to post a few on a Saturday and I usually don’t schedule anything on a Sunday. Unfortunately you can’t currently do that with Sprout Social. With Buffer I can set a different schedule each day and I can set more than 10 posts per day if I wanted to. Whilst I love the sound of ViralPost, it doesn’t give me the flexability I would like, particularly as I am used to Buffer. Maybe this is something they can improve over time? Were 7 Reasons not enough for you? Here are some more! I really do like the reports in Sprout Social- they are very engaging and easy to understand. It’s been one of the many reasons why I’ve recommended Sprout Social to friends and clients over the years – particularly over Hootsuite’s offerings. 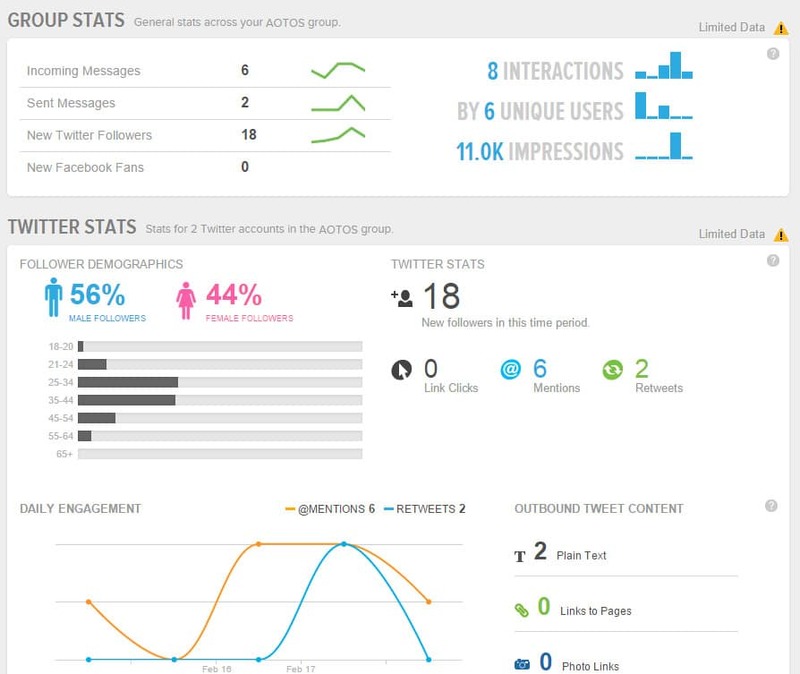 Sprout Social give you a group report, engagement report, team report, Twitter profiles report, trends report, Twitter comparison and sent messages. As you can see in the following screenshot, the reports are very pleasing to the eye and easy to understand. You can also export as a pdf or a csv file. If reports and analytics are important to you, there are better tools out there. However, you could use a reporting tool as well as using Sprout Social. Unlike Hootsuite, SproutSocial make it very easy to use other tools in addition. Hootsuite lock you into their ecosystem due to the compulsory owly url shortener. That means many of the Hootsuite reports only show you data from the times you have used Hootsuite. SproutSocial allow you to use bitly, which is a much more portable URL shortener- supported by many other tools. Thus far I have yet to find a dashboard or management tool that has better reports than that of Sprout Social. They are also nice and "pretty" -- which the client always appreciates. We send raw data reports in Excel and 9 times out of 10 they prefer the "pretty" ones. For me, this is a big issue for almost all social media management tools out there. If you have a lot of mentions, replies and comments to respond to each day it can become difficult to know which ones you've responded to already. That might not be such an issue if you reply all in one go, but if you reply in batches or work within a team it can get difficult. It's a particular issue for Hootsuite, but Sprout Social isn't much better. I particularly like one alternative tool, AgoraPulse which treats your social mentions and comments like a kind of social inbox. As soon as you reply, they disappear from view so you know you've responded to them. The same is true when team members respond. You'll never get the situation where you reply once or more than one team member responds to the same message. If you need to get started with SproutSocial and ask them some questions, then there are many articles out there to help. Also, Sprout Social are fantastic at engaging with you. They're fairly quick at getting back to you and they've done a great job at building up a community of superfans (something other social media management tools could do with learning from). So there are 7 reasons why you might not want to opt for Sprout Social as your social media management tool. However, it might be after reading this that you've decided that Sprout Social is the perfect tool for you. If so, great! However, maybe you agree with some of my points. Either way, please do give me your thoughts in the comments below! Let me help Choose the best tools for you! I hope this article has helped you, but perhaps you feel you need some expert help. As well as asking a question in the comments below, you might benefit from a one to one service. I offer a social media consultation service in which I can help find the best selection of tools and solutions for you or your business. If you are interested, get in touch! Nicely done Ian…great comparison charts! We (large non-profit) use CoSchedule for scheduling social posts, seems to function quite well also. I’m looking for a program to auto post to FB groups that we’re members of (about 600 different groups). Is this within your program’s capability? Hi Joe. Thanks for your comment. What you are wanting to do goes against Facebook’s terms and conditions and is likely to get you flagged by Facebook or the group owners. I know it probably feels like an amazing idea, and I have seen some people do this. I’ve even come across a tool that supposedly does this. But I could never advocate such a tool or method since it’s likely to get you banned from Facebook. Sorry for the bad news! Hi Ian, thank you for this helpful information. I came across eClincher would like to know what you think about this tool. Have you already tried it? Thank you! Hi Mariel, Thanks. Yes, I have come across eClincher and I tried it out. One of the big advantages is the feature set – it does so much in one tool. However, that’s also its downside. It’s a little bit clunky and difficult to use sometimes. But, if you want to have a tool with a rich feature set and are happy with its user interface, it’s definitely worth a go! Very interesting article–thank you! I am just getting started with Social Media for my consulting business. I was wondering if you could suggest a management tool that would be ideal for a luxury good consulting brand. I am starting a blog and will use Twitter to cultivate relationships with industry execs as well as influencers. I love video and storytelling and intend to showcase the beauty of the products in the luxury brand categories, (beauty, jewelry and fashion accessories). Thank you again! Ian – thanks so much for these articles – you clearly know a lot about this! Can I ask your advice? Is there a tool that allows an individual to see posts from facebook groups that I am a member of (not admin) in one place? For example, there are great facebook groups out there that I’m a member of, for job postings, but it’s hard to keep up. It would be great to see them all in one place, but Buffer requires I am an admin of those groups. Thanks in advance for any help! Hi Ian! Thank you for this biiiig article, very well detailed. The comparison is very useful for me. I’m still hesitating about which tool to choose: i don’t need to publish with own accounts, but just a powerful monitoring ans searching tool to make benchmarks, identify trends, views hashtag metrics to make campaign reports… and exclusively for instagram, don’t need the rest. Do you think Sprout could fit my need? Thank you for this! I just signed up for Later and am very disappointed. I was just about ready to pull the trigger on Sprout Social but I think I see some other ones in your lists that would be a better fit. Thank you for saving me a ton of time! Hi Chelsie, Thanks for your comment. So sorry that you had a bad experience with Later. I’ve used their service for a while and not had any issues. Could you tell me what issues you had? Sprout Social could well be the best tool for you, but it is worth looking at some the others. Agora Pulse is a strong contender, as it is a really robust tool. Glad I saved you time. That’s my mission! Geat insightful article Ian. Well informed and best reviews I have read on HootSuite and sprout social. I was also looking for one amazing automation tool for my social media. I have found one more if you want to try your hands on. Here is https://socialpilot.co. I haven’t tried yet. But thinking to switch on. Would love to know your thoughts on this as well. This is something I definitely would NOT recommend. Firstly, I am going to assume require your Pinterest password. You should never give your password to a third party tool like this. I assume it requires your Pinterest password, because Pinterest don’t allow automated following like this. That’s my second point – it goes against their terms and so could get you suspended. I am sure it can boost your followers in the short term. But at what expense? Hello, I love this article. Thank you very much – it was very insightful. One issue I am currently experiencing is that the contract with the advertising agency we used to do our social media has been cancelled. My fear now is that when we post or continue with the social media in our own marketing division, they can still view our activity/data in their Sprout account……… Do you maybe know how I can ensure that these “third party” posting tools no longer have access to my Facebook page. You can remove any 3rd party apps from Facebook and Twitter. If you go to the settings page, you’ll see an option to view connected apps. Go there, and then revoke permissions for any apps you don’t want any more. Hope that helps! Thankyou for such a detailed, objective and balanced review. Interesting that you have also updated to keep context and relevance. However, regarding the ‘keeping up with answered messages’ comments, SS allows you to ‘mark as completed’ (often as default). So for example, you can plough through DMs, mentions etc. and then skip over one with the keyboard shortcut, to leave to another time. As long as you have ‘mark completed’ selected with a tick mark, it will update accordingly. Thanks for this. I’ll need to check Sprout Social again. Last time I checked, it definitely allowed you to mark as completed, but it didn’t feel as intuitive as Agora Pulse. Thanks. For example, if I post “hi @aliciakeys” this will only translate to apropariet @mention in Twitter, but not in Facebook. But if I use facebook format, it will not post as a clickable @mention in Twitter. Do you know of any website that offers that small but crucial feature? Great article. Have you come across anything that offers push notifications for when someone comments on a post or a message is received? Hi, Bianca. To be honest I haven’t tested the Sprout Social mobile app in a while. However, I know Agora Pulse offers push notifications on a mobile for messages and comments. Is that what you are looking for? Really? But with notifications you should have the option to switch them off, either in their entirety or selectively. I just looked up Klear and it’s $249/month not $49/month. Ouch! Thanks for putting this together… very helpful and insightful… it’s too bad that I stopped blogging for a while and didn’t get on Sprout Social when it was yet affordable. Those were the days! I can’t see that anything other then twitter works for feeds. You mention toggling between but only twitter profiles seem to be showing up under SS feed. Hi Anna, You can toggle your social profiles in the messages tab. For feeds, Sprout will only display Twitter, LinkedIn and RSS I think. For Twitter you can display Tweets from people you follow or get a feed from one of your Twitter lists. Well spotted, Zach. I had already put the new prices on my new post – https://iag.me/socialmedia/top-5-social-media-management-tools/ but hadn’t updated this. It’s getting more pricey! Hi Ian – great article, thanks for posting! I’m looking for a tool that works not only with the mainstream social networks, but also hotel/hospitality ones such as TripAdvisor. Do you have any recommendations? I do management for many hotels and a TripAdvisor tab would be awesome. Really interesting idea! I can see how useful it would be to be able to monitor and reply to Trip Advisor reviews through one system. Unfortunately, to my knowledge there isn’t a tool available that does this. Trip Advisor has an API, but it’s only for adding Trip Advisor content on your website- it’s not a system that allows you to send information (for example add a reply) to Trip Advisor. The only thing that could come close is a tool that monitors reviews such as Brandwatch or even Sendible. Thanks so much. I’ve read dozens of articles and reviews on social media tools – and this one was the best and most useful by far. Update (after reading all the fantastic comments) I will definitely check MavSocial. Not only because of Chris´ Time-ROI aproach.. liked it! I tried all of them, but the only one that seems to work best is Mavsocial. However, you always have to select ALL the social networking sites you want to post and there’s no options to post recurring tweets. Glad things are working out for you with MavSocial. It’s not the perfect tool- no tool is. Have you spoken to them about this? Maybe they can add it to their feature list. I just spent the weekend searching for the best free alternatives to curate and share information manually and automatically connecting rss feeds. I am now using Buffer, EveryPost, TwitterFeed, and DLVR.it. Considering HootSuite, SocialPilot and IFTT as tools. Thanks for your comment, Chris. I use a combination of Buffer, IFTTT, Zapier and Feedly to share to Buffer and other platforms. I also use Friends+Me with Google+. I’ve tried TwitterFeed and dlvr.it before and although they have their uses, I found that they were too automated for my liking. I don’t want to be a feed, but I can see some good uses for them. What would you use Hootsuite for? For engaging? Actually Schedugram seems to be able to post through the API now on IG and so far I actually like that ability way more since I can manage it from the desktop. Not sure if anyone went over that yet, but it’s good to note. I just wish a single platform would integrate all the platforms to a level that’s available for small business users and corporations. Great. You’ve done some great research there, but not all users will. As long as you are happy with your decision everything is ok.
Have you read the comments in this Social Media Examiner article on Instragram scheduling- http://www.socialmediaexaminer.com/4-instagram-tools-scheduling-instagram-updates/ ? It’s quite interesting. A lot of discussion about whether it’s ok to give out your username and password and apps such as Latergramme and Schedugram. Cool. I love the way you’ve looked at workarounds- sounds like my kind of thing! Boy all this can become complicated, but I have to admit I quite enjoy getting all geeky with social media! Took a long time but the wealth of information you share is well worth it! I agree with your point on SocialOomph. Not very pretty to look at but does what it’s supposed to do. Thanks for the alternatives you mentioned. I’ll check them out. I actually advocate that MOST of your social media engagement should be done natively. However, I do a lot of scheduling. That scheduling though is always based on when I will be on the platform (roughly). I honestly don’t know how they can continue not supporting multi-bitly accounts. I need a minimum of 3 different bitly custom URLs (My own, Weal Media’s and Warfare Plugins). With Twitter it’s not as bad but I still think a slight bit of culture/connection is lost when you’re interacting in a third-party interface. It’s slightly disconnected. But maybe that’s just me. As far as our situation, I don’t know. Plenty of agencies out there managing multiple bitly accounts and being that Sprout is targeted at agencies it seems weird. Of course, and we definitely value all feedback. Drop me a line on LinkedIn if/when you want me to set you up with someone to do a thorough walkthrough and happy to contribute some thoughts in the future. Thanks again for spending some time with Sprout. Thanks, Karen, glad I could help! Thank you for the quick reply. I did start on Hootsuite free and then upgraded to Pro. For my needs it works well except for the analytics, but as business grows our needs may change, so your work is much appreciated! Thank you for sharing that you use Agorapulse. I plan to check that one out (and already had Oktopost on my list as well)… so many tools, so little time :). Have a great weekend. If Hootsuite works well for you, then maybe that is ok. However you will probably find the likes of Sprout Social, Agoapulse, Oktopost and Mavsocial more flexible. Everything is included for the price (although Oktopost tends to only offer some of their services in their higher plans). What social networks do you need to manage? LinkedIN, Twitter, Facebook, Google+ for now (and some LinkedIN groups). May branch to Pinterest in the near future. That’s quite a collection of social networks! It sounds like Sprout Social might well be a good fit for you. They integrate with all the networks you mention (except for LinkedIn groups). I do like Oktopost for LinkedIn groups, but for the time being I am using Buffer to occasionally post to one or two LI groups. as for Pinterest, I use Tailwind. Really great tool. You are giving me lots of great notes! Thanks again. Ian, this is incredibly in depth – awesome work. I’ve been trying Sprout Social out recently and I have to say, while there are definite draw backs to it like you mention in this post, I have become at least 3x more productive than I was when I was using Hootsuite. The time I’ve clawed back definitely makes up for how much more expensive it is in comparison to Hootsuite. No worries, Ian. Good point – really isn’t for everyone and definitely are areas where it can be improved. It’s a basic feature, but the smart inbox (particularly the ‘mark as complete’ button) has been the main time saving feature (there are a few others). I manage a bunch of accounts so with Hootsuite I used to lose track of who I’d responded to (partly because of using Hootsuite across 3 devices) and missed a bunch of mentions. It’s so straight forward to manage responses with Sprout Social. Good point about businesses. Price definitely amounts up quick. Awesome to know more tools have this feature – it’s super important. I’m surprised too, Hootsuite have a lot of catching up to do! Same here, you’re right – especially about the Twitter lists. They’re a huge feature, crazy it’s not incorporated. Great to hear about how well Agorapulse has been working for you. I don’t use LinkedIn as much as I’d like to, had the same issue finding a good tool. Like you say, Oktopost is great on the publishing front. Let me know if you find a good tool for LI! Ah yeah. Hope to see them incorporate it into their smart inbox. True – I’ve found the same thing. Awesome that you created your own plugin! Definitely a potential opportunity in creating a LI tool at some point. As we’ve discussed, Ian, I live by my lists, so Sprout’s single list view is a big negative for me. It really cuts down on the ease of use. There are other niceties with Sprout, like being able to reply and react to comments and activities of all your connected accounts, and the analytics. Its scheduler is much more streamlined than HootSuite’s. I am grandfathered in at their $9/month price, which makes Sprout a steal. I wouldn’t be paying $59/month though if I were a potential new user considering it now. As always, an awesome and thorough article! Lists are definitely a powerful aspect of Twitter, but many businesses miss them. Now that @sprout_admin:disqus has responded above, what do you think? Are you convinced? Do you think you could really love the single column unified inbox in Sprout Social? If you utilize lists on Twitter, you need them without having to work to get them (or see only 1 list at a time). There’s really no 2 ways about it. Thought you might say that! I would like to see Twitter lists somehow added in to the inbox view. I am not sure how that would work in practice, but Twitter lists are vital to the way I work. Being able to then filter the unified stream would be really powerful (for example only sharing mentions / comments from fans or from a specific location and being able to filter out mentions sent via a specific 3rd party app). Ian, thanks for mentioning Latergramme! Also, lots of new features on their way especially now that our Android app is out. This article is amazing and thorough, I think overall though I’ve loved SproutSocial for it’s interface but pricing is prohibitive. Some balance between an inbox and streams would be interesting feature/product, maybe that is what Smart Inbox was suppose to be. I think I’d be a fan of the single feed if it had a better filtering system- so that you could select which profiles it was showing and gave you Twitter lists. As for tab opening, I think we all have issues with that! Have you tried One Tab? A great Chrome Extension for Tabaholics! I’m preparing a group therapy for compulsive tab openers, and a rehab center, you’re in? Sounds like I will have to join Tabaholics Anonymous too! @iagdotme:disqus , I’ll give you a discount! It’s a new breed of Therapy based on Margarita mixes. Scientific studies have shown that after 5 Margaritas, it’s very hard to open a new tab, and after 10 Margaritas, you can’t open any more tabs at all! Seems legit to me! I’m sure @sociallysorted:disqus can handle that kind of Therapy! I assume we aren’t taking about cheese and tomato pizzas here?! Are you thinking about a priority inbox? I think that would make total sense. Exciting stuff! I just took a look at Jollor and it says “You have 14-Day Free Trial. No obligation. Start managing your social networks for as low as 20 € per month.” Where did you find 5 Euros pricing? Hi David, this is Tish from Jollor. That was certainly well spotted. We are currently in the middle of price changes, and in this case it moved a little quicker than we advertised. We’ve adjusted it on our homepage. Thanks for flagging. Just to add, David, if you have any questions at all, please do contact me at [email protected] and I’d be more than happy to help. Thanks for chiming in Tish, and for updating the website. Glad I could publish the prices hot off the press! Wow, Ian. This is really robust. I still love Sprout, but I can see some strong arguments for why you would not want to use it. Price is always a factor for us. And hey, some of those “pretty” reports you have posted here are really catching my eye! Thanks for showing the other side. You did it so nicely and will a lot of facts to back it up. That is REALLY impressive. Keep it up! Thanks, Brooke. By a robust article you could also say it’s long! However I think it’s important to be detailed in these kinds of reviews and I wanted to be as balanced and constructive as possible. I know you love Sprout, and it obviously works really well for you. Price is always going to be a factor, especially when you manage your social channels amongst a team. Oh, and congratulations on being the first person to comment! Oh no, I forgot to respond to your kind comment! Thanks so much, Brooke, your comment means a lot to me. Sprout is definitely a robust product, but it’s important to highlight some of the areas that might be a frustration for some.